After his win at the 2011 WPT $25k Championship on Friday night Scott Seiver is now just an EPT win away from accomplishing the Poker Triple Crown –Seiver won a WSOP bracelet back in 2008—and has quietly amassed a very impressive $3.9 million in career tournament earnings according to thehendonmob.com. 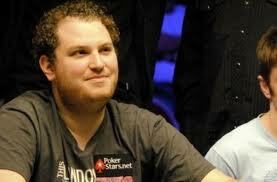 The 26 year-old Seiver is considered one of poker’s best all-around players, equally adept at live cash-games, live tournaments, and online poker, and is at the point in his career where prior to Black Friday the affable young player was one of the most sought after participants in televised poker shows like the PokerStars.net Big Game. Seiver’s path to the WPT Championship was not an easy one, considering he not only had to weave through a field of 220 of the best poker players in the world over the course of the tournament’s first five days, but upon reaching the final table had to contend with the likes of 2011 PCA Champion Galen Hall, tournament poker veteran and two-time WSOP bracelet winner Freddy Bonyadi, and another young rising star in Justin Young. Seiver and Hall came into the final table in a virtual tie for the chip-lead, but it was Seiver who got off to a fast start at the final table quickly taking command of the tournament and cementing his chip-lead. Hall would retake the chip-lead later in the evening, only to see his chips go to Bonyadi, and especially Seiver, when the tournament reached three-handed play. This entry was posted on Saturday, May 21st, 2011 at 3:25 pm and is filed under Poker News. You can follow any responses to this entry through the RSS 2.0 feed. You can leave a response, or trackback from your own site.